The New York State Canal System is a 524-mile long, commercially viable waterway connecting the Hudson River with the Great Lakes, Finger Lakes, and Lake Champlain. 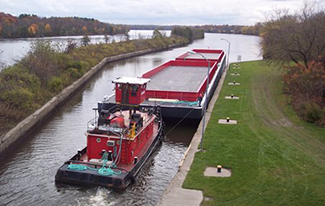 The federally improved route between Waterford and Oswego provides a vertical clearance of at least 21 feet; the Champlain Canal has at least 17 feet; Cayuga-Seneca Canal, 16; and the western Erie Canal, 15.5. The controlling depth on the Erie Canal between Waterford and Oswego is currently 11 feet; the Champlain Canal is 9.5 feet; Cayuga-Seneca Canal, 8; and the western Erie Canal, 9. 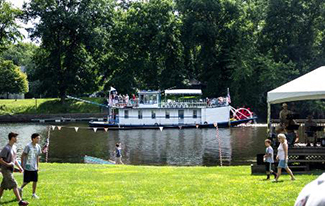 Efforts are underway to return the Canal System to its published depth of 14 feet from Waterford to Oswego and 12 feet elsewhere. One can view a summary of bridge clearances and normal channel depths, a detailed listing of each overhead structure, or a listing of current controlling depths by canal mileage. If even more information is desired please call (518) 449-6000 during normal business hours, or (518) 461-0942 after hours. 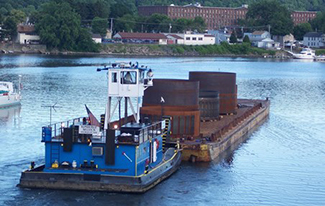 Round-the-clock lock and lift bridge operation is available to commercial vessels whose captains give twenty-four hour advance notice of their intent to navigate the system outside of regular hours of operation. 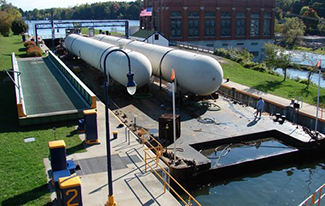 View the Commercial Shipping Study, May 2010 - New York State Canal System, Modern Freight-way. 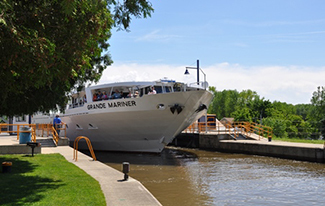 All commercial vessels (shippers and tour operators) navigating the Canal System must obtain a permit by filing the application above with the Canal Corporation and by mailing it in or faxing it. If you have questions please call (518) 449-6000 . $10 per passenger capacity, for hour dayliners. The locks of the New York State Canal System have a usable length of 296 feet and a usable width of 44.45 feet. 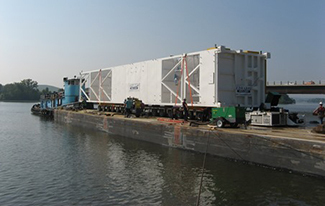 The Canal Corporation recommends a beam of no greater than 43.5 feet. Every lock on the New York State Canal System is equipped with a capstan for the purposes of double locking. Several Canal terminals remain available for commercial use. A list of these terminals is available by calling (518) 449-6000 . A variety of Aids to Navigation mark the channels of the New York Canal System, with the vast majority of these aids being unlighted. 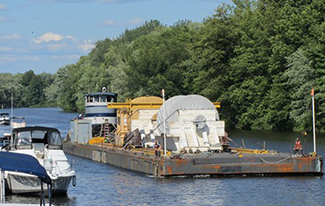 Products still shipped on the Canal System include pre-fabricated rebar caissons, liquid calcium chloride, radar dome material, commercial paper dryers, aggregate, turbines, commercial boilers, transformers, and other over-sized cargo.